Nested strakes make for lots of lines, hope they're right. I had four solid hours of time to myself today to work on the soon to be boat and made good use of my time. 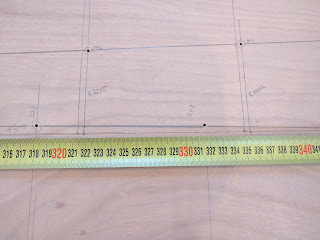 After working out a decent system for laying out the planks/strakes last night I got straight to work marking out the last two planks on the first scarphed panel. I was able to layout the remaining two planks in roughly an hour and forty five minutes which, compared to last nights three hour session, seemed like light speed. 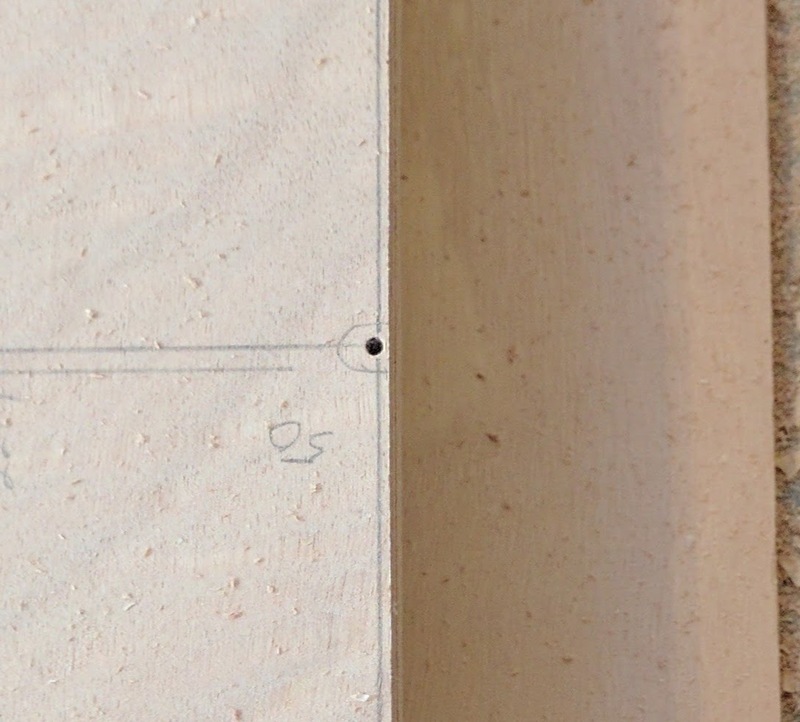 I spot checked a number of marks to make sure they were right and I'm fairly comfortable that I got all the measurements correct (cross fingers). As I was finishing up I was thinking about how long it's going to take to get all of these planks cut when it occurred to me that after I cut these planks out I could use them as a pattern for the next scarphed panel. I suppose this revelation should have been obvious, but it wasn't to me. Then I thought, why not just cut both panels at once, then I get two of each plank matched exactly. That brought me to the next question which was "how am I going to cut these planks?" I hadn't really thought too much about it before because I was focusing on getting the layout correct, and I didn't really think that I would be at that point today, but here I was. I had unconsciously assumed that I would use my jigsaw, but I have never been happy with the speed or the lumpy cuts I always seem to get because even a millisecond's inattention is enough to change the direction of the saw. I always cut proud of the line, but cleanup is always a chore. 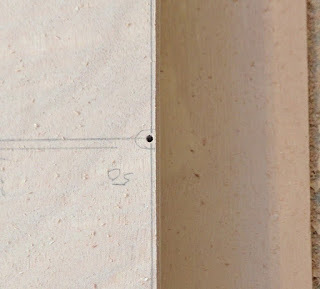 That got me thinking about using my Bosch 7-1/4" circular saw to do the cuts. 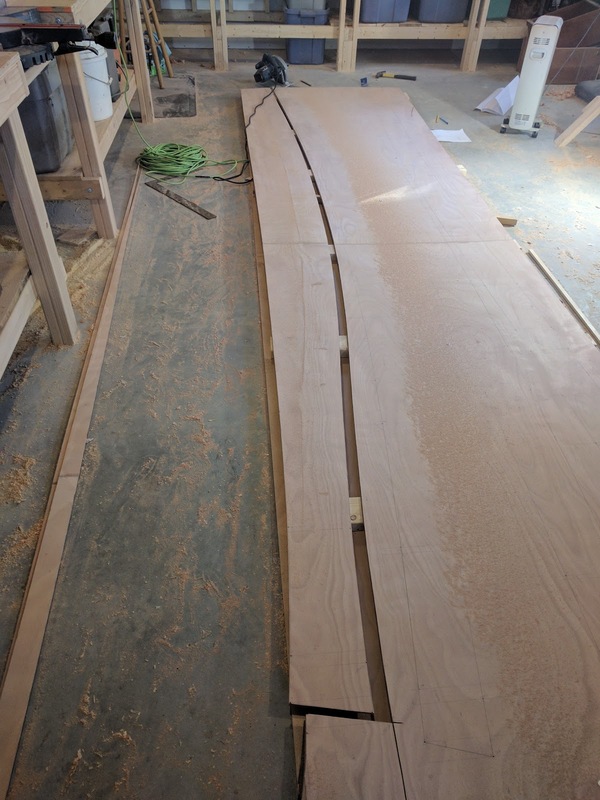 When I built the shop last summer, I spent a huge amount of time with that saw and I got really comfortable with it. 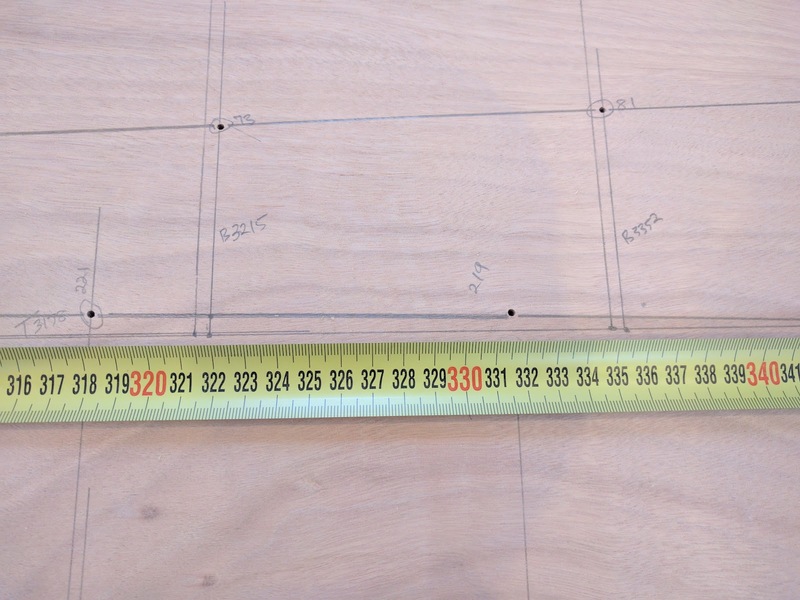 The cut line gauge is really accurate and it doesn't wander like a jigsaw and as long as the radius isn't too deep, it can follow a curve nicely. Oh, and it is Way faster than a jigsaw. 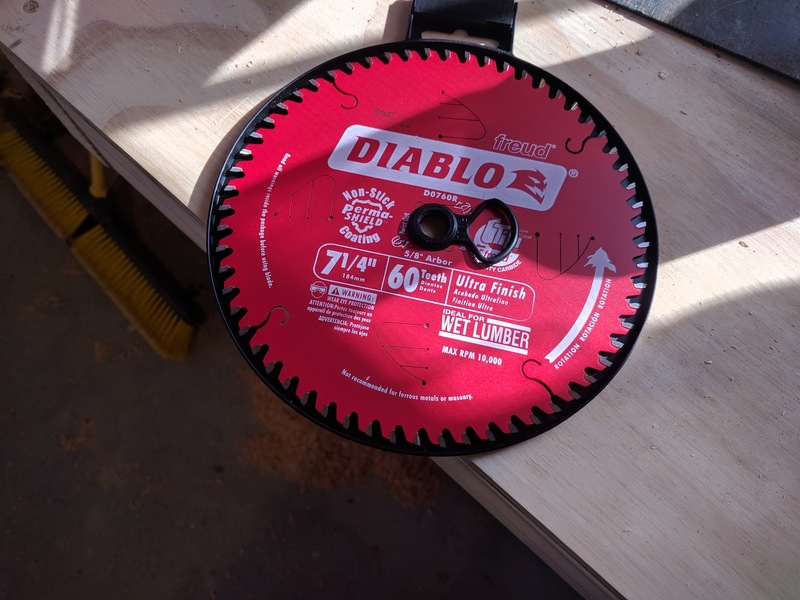 The blade was pretty dull from the shop build, so I ran up to Home Depot and got a Diablo 60 tooth thin kerf blade, mounted it, and got busy. I lined up two of the scarphed panels so the edges matched up, screwed them together with a few wood screws and started cutting. It took just under an hour to cut all the planks out with a few breaks in between to let the dust settle and I'm really happy with how they turned out. No oops, crap, or whatever; it just worked and worked well. Every edge is smooth and about 1/16" proud of the line. Nice smooth cut, just proud of line. 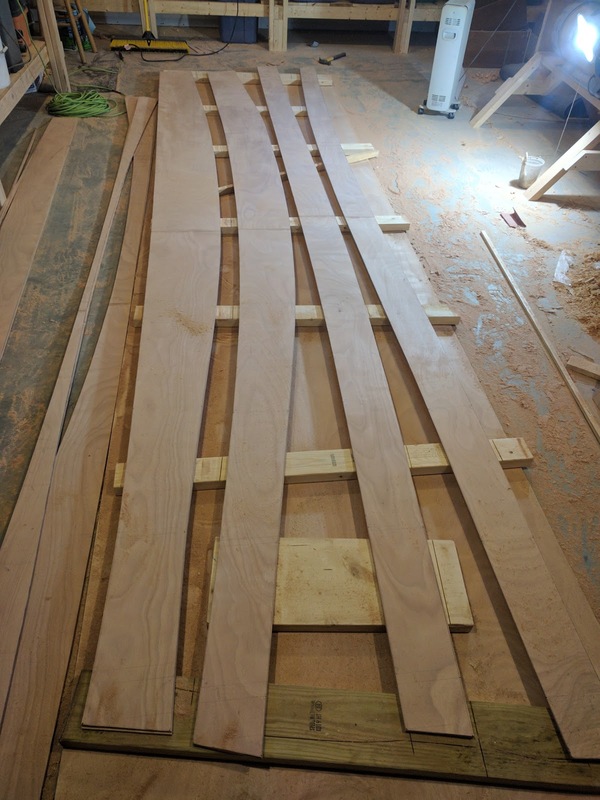 So, to make a long story short, I went from being overwhelmed with how much drudgery work I had to do, to having eight of the eleven planks cut out and nicely matched. I still have to mark out and do the same operation on plank number five and cut out a single keel strake, but I feel like I over the hump and may actually start making the wood look like a boat next week. Can't even see that there are 8 planks; the benefits of stacked cuts. Nice work!I keep lusting over those little 3 inch cordless circular saws, seems ideal for this task. For tight radius work, one of those would be perfect. 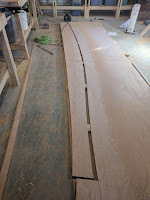 I have a 5" cordless circular saw, but the curves aren't steep enough on these planks to need a tighter radius. The 7-1/4" followed the curves very well (maybe even smoother than I could have done with the 5").